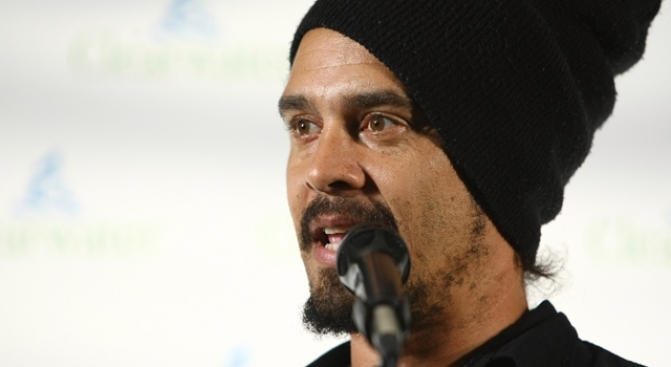 Chances are Michael Franti will be walking around the park barefoot on Saturday. Oysters, Guinness and music. We're not sure we had to throw in the music but it wouldn't be the Oyster Fest without it. The 10th annual San Francisco Oyster Fest will bring Michael Franti and Spearhead and their friends to the Great Meadow at the Fort Mason Center in San Francisco this Saturday starting at 11 a.m.
Franti is the creator and driving force behind Spearhead, a band that blends hip hop with a variety of other styles including funk, reggae, jazz, folk, and rock. The Bay Area resident is also an outspoken supporter for a wide spectrum of peace, environmental and social justice issues. Franti will be joined on stage by the Greyboy All Stars, Ignus Verma and Shantytown all in a celebration of music, oysters and going green. Of course there will be Guinness as well. But don't let that stop you from bringing the kiddies out. The annual festival claims to be one of the greenest around with all products at the event being recyclable or compostable. Tickets are available for $23 from SnagTickets.